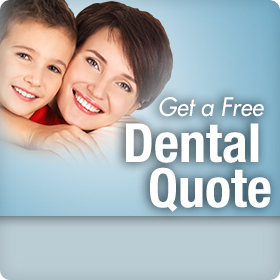 No Dental Insurance, But Need a Tooth Pulled? No one is thrilled about needing a tooth pulled, but it’s even more unsettling when you don’t have dental insurance. Whether you’re facing the removal of one tooth or complicated surgical extractions of many teeth, out-of-pocket costs can be considerable. While you may not have dental coverage, a dental discount plan is an affordable alternative to traditional dental insurance that can help reduce the cost of having a tooth pulled. While dentists do everything they can to save a tooth, sometimes it’s beyond repair or an extraction is needed to preserve the health of your other teeth. Badly broken, decayed, or abscessed teeth may need to be extracted, as well as teeth that have lost significant bone support due to gum disease. Dentists often recommend the removal of improperly positioned wisdom teeth, and it’s common for teeth to be extracted for orthodontic reasons. Because extraction fees are based on the complexity of the procedure, you can better understand your cost if you understand the degree of difficulty of your extraction. Simple extractions are uncomplicated and are usually done with just a local anesthetic. When a tooth is fully erupted and visible in the mouth, it easily removed with a bit of wiggling and pulling. Fees for simple extractions can range between $75 and $330. Surgical extractions usually require the removal of bone and/or gum tissue, and in many cases, stitches are needed. Surgical extractions can vary in difficulty and are often necessary because the tooth has broken at the gum line or it is not fully erupted or visible in the mouth. The price of a complicated extraction can vary anywhere between $150 and $650. Remember that fees for the examination and x-rays required to diagnose the condition of your tooth are separate from the extraction fee, as are fees for various types of sedation often used with surgical extractions. Other factors, such as the area of the country you live and whether or not your extraction was done during an emergency visit, can also influence the total cost. While having a tooth removed can be daunting, the experience can be less stressful knowing that your costs can be reduced up to 50%. A significant discount like this becomes a reality when you choose a Confident® dental discount plan through Careington® and have your tooth pulled by a Careington® participating dentist. Just click on the link to the right and start saving today.